If you are like us, you are exasperated with the rollercoaster ride and the vitriol of the presidential race. 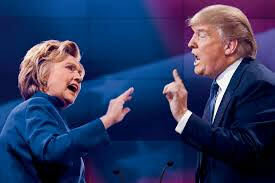 Many of us feel the opposing candidate is so deeply flawed that he or she represents a real danger to the country. And being generally caring and compassionate people many of us feel terrible about being incensed at the opponent. So what can we do? Meditate. Meditation brings calmness, serenity, and balance in our lives during tumultuous times. Let’s begin, NOW. 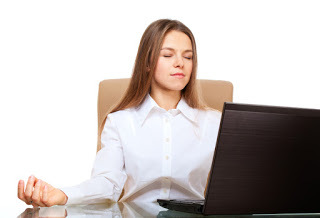 Yes – we will meditate for the next five minutes as you read this article. Begin by silencing your phone and computer. If possible place your phone in airplane mode. Now make sure you are sitting in a comfortable position with your spine upright and legs uncrossed. Begin with three deep long breaths…. (Close your eyes if you wish). Take a deep breath in…. and …long breath out. Begin by bringing your attention to your breath. Feel the movement of air through the nostrils down your trachea to your lungs. Feel the movement of your chest and abdomen. Notice a sense of tranquility, refreshment, and alertness. May my teachers and mentors be well, happy, and peaceful. May those persons whom I find difficult, be well, happy, and peaceful. May all persons be well, happy, and peaceful. May all living beings be well, happy, and peaceful. May those persons whom I disagree with be well, happy, and peaceful. May the opponent be well, happy, and peaceful. It may be hard to evoke compassion for those you disagree with. But remember, they are people just like you, with the same desires for happiness and fulfillment that you have. Though it may be difficult, do it any way. Repeat these compassionate words at least three times. You will notice it becomes easier with each repetition. With every breath you are spreading your compassion, towards those who you disagree with and toward the opponent. Now bring attention to the present and now. Develop a sense of relaxed attention, reflection, and acceptance. Our meditation is complete. In the five minutes, the world may not have changed but you have. You are less stressed and a more kind and compassionate person. Manoj Jain is a physician and Mark W. Muesse is a philosopher who together teach meditation. See www.AdvancingMindfulness.com about their offerings.